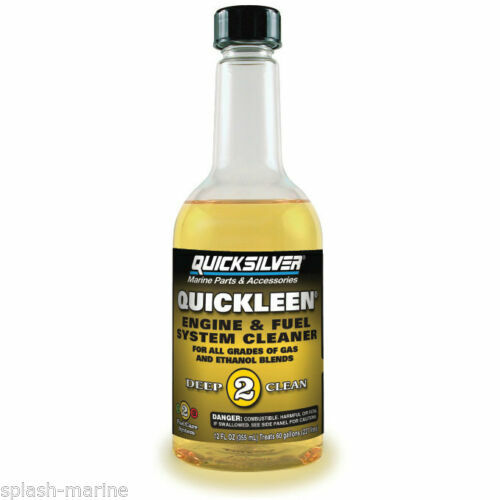 Marine Grade Engine & Fuel System Cleaner. Extend spark plug life Use in all 2 and 4 stroke carbureted and fuel injected marine gasoline engines. Can also be used in any non-marine engines. Contaminated fuel and fuel systems is a common cause running problems for all marine engines. Fresh fuel treated with Quicksilver Quickleen will help clear contaminants from carburettors and fuel injection systems. This one bottle will treat up to 60 US gal (227 litres).